Περιέχει 2 ζελατίνες και πανάκι καθαρισμού. 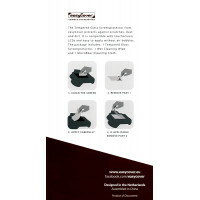 The easyCover Screenprotector protects the LCD screen of your camera against scratches. It is specifically designed for every camera LCD screen, so it fits perfectly. These screen protectors adhere instantly to your screen and can be easily removed wi..
Περιέχει 2 ζελατίνες και πανάκι καθαρισμού. The easyCover Screenprotector protects the LCD screen of your camera ..
Περιλαμβάνει: 1x Tempered Glass Screenprotector 1x Wet Cleaning Wipe 1x Microfiber Cleaning Cloth..
Περιλαμβάνει: 1x Tempered Glass Screenprotector 1x Wet Cleaning Wipe 1x Microfiber Cleaning Cloth The easyCover Screenprotector protects the LCD screen of your camera against scratches. It is specifically designed for every camera LCD screen. 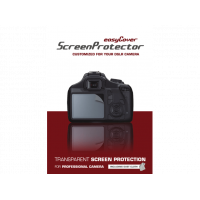 The screenprotectors adhere instantly to your..
Περιλαμβάνει: 1x Tempered Glass Screenprotector 1x Wet Cleaning Wipe 1x Microfiber Cleaning Cloth The easyCover Screenprotector protects the LCD screen of your camera against scratches. 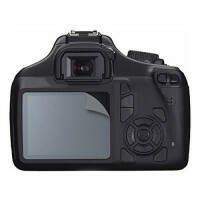 It is specifically designed for every camera LCD screen..